These days, extreme fitness challenges are all the rage, taking us back to a more primitive form of exercise, as we run, leap, hurdle and sometimes swim our way through challenges set in the great outdoors. These offer true tests of strength, endurance and mind over body for people searching for that next big experience. From tackling a Tough Mudder, a gruelling 10-mile obstacle course, to conquering Race to the King, a double-marathon in the Sussex Downs, there is something for everyone to try. This form of interval training is a highly effective way to improve your endurance and cardiac health, while also helping you to burn fat and gain lean muscle mass – exactly what you need to conquer the toughest of fitness challenges! 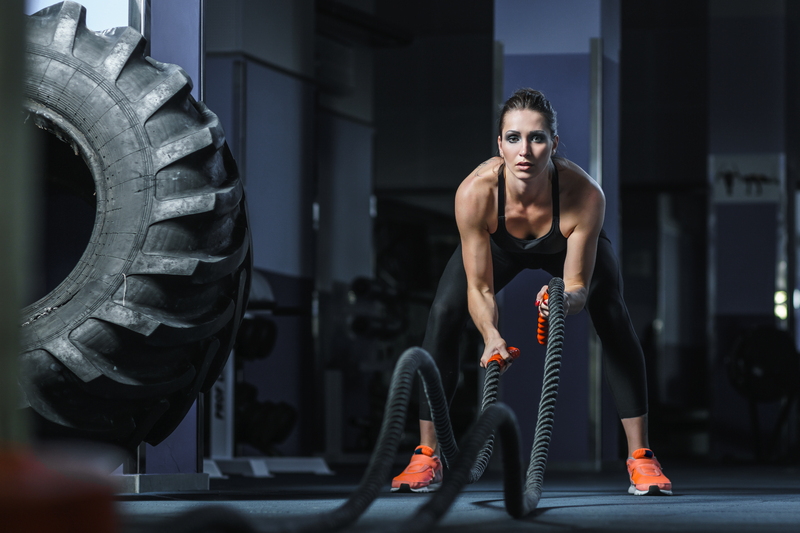 The extremely high intensity of Tabata is what makes it such an effective training method. Protocol is to exercise for 20 seconds in all-out mode, then follow this with a 10-second rest period, which is repeated for a total of 4 minutes. When making your way around an obstacle course, you’re often required to exert yourself in short bursts to make it over a wall, under a net, or to run with a load, so Tabata is the perfect preparation for this. Sprinting on an indoor cycle (sometimes referred to as an exercise or spin bike) is an excellent way to engage the whole of your lower body and quickly raise your heart rate for that 20 second Tabata blast. Top Tip: Instead of trying to stop or taking your feet out of the pedals during the 10 second rest period, keep your legs pedalling gently, ready to power into the next sprint! Find yourself a plyo box or weight bench that is roughly knee height. From a standing start, jump on top of the box. Then jump back to the ground, with your feet together the whole time. Once you land, jump straight back up again and repeat for the full 20 seconds. Top Tip: If you need to make this exercise a little easier (at least to begin with), try step-ups instead of jumps. A great activity to cross-train your whole body, swimming also offers the same benefits as running and other cardio-based workouts, but without the impact on your body’s joints. This is especially good for those who have suffered a recent injury. Simply pick your favourite stroke and start hammering along a lane! Top Tip: To avoid getting on the wrong side of other swimmers with all the stop/starting of your Tabata workout, try to find a lane all to yourself. Now don’t worry – you don’t need to head off to the Scottish Highlands for this one! To perform a set of mountain climbers, which are a fantastic full body exercise, get yourself into a plank position with your hands a little wider than your shoulders and your abdominals braced. Next, drive one knee in towards your chest, to arrive at a position similar to a sprinter in the blocks. Then jump to switch legs and keep repeating. The faster you go, the more you’ll raise your heart rate. Throughout this exercise, try not to lift your hips up; you may feel like your legs are just skimming the floor, but this is the perfect action to engage all the correct muscles. Top Tip: During the intense 20 second climb, keep on your toes to avoid putting your feet down and resting. It should be a very rhythmic, quick motion, rather than slow and robotic. Don’t underestimate the humble exercise of bench hops… They’re a brilliant way to work on your explosiveness, core stability and agility, all of which will no doubt come in handy when battling your way through an extreme fitness challenge! Place your hands on a weight bench, with both feet on one side. Then simply hop back and forth over the bench until the 20 second timer goes off! Make sure your feet clear the bench by positioning your hands as high up the bench as you can. Top Tip: Keep your head up to avoid hunching over and putting strain on your spine. You’ve probably seen those yellow and black nylon straps hanging from a wall or piece of equipment in your gym, thinking how on earth do you use those?! They look rather unassuming, but, as those who’ve discovered them will know, they’re the ultimate tool for body weight resistance training! And when taking part in an extreme fitness challenge, one of the biggest tests you’ll be up against is your own body weight, especially when you begin to tire! Taking advantage of your body weight and gravity, TRX challenges every muscle in your body and builds an unshakeable core, while also improving balance and co-ordination. What’s more, it’s a technique developed by the US Navy Seals, so if it’s good enough for them, then it’s good enough to help you train for those vigorous fitness events! If you’re interested in TRX, talk to a member of the 1Life team who will show you some moves to get started. Are you interested in testing TRX Suspension Training ? The Depot 1Life offers this training and much more. Find more information here. You might be thinking this one is a bit of a cop out – saying that any type of exercise will help you to achieve your goal of completing an extreme fitness challenge, but the point we’re trying to make here is that these events place a multitude of different demands on the body, so if you engage in different types of exercise as part of your weekly workout routine – from high-intensity interval training to Pilates – you’ll be working different muscles and building up different areas, which will stand you in good stead for whichever challenge you sign up to. While training for an extreme fitness event may seem daunting – particularly if you’ve never done one before – hopefully you now feel confident about which training methods you could use to see you across the finish line. 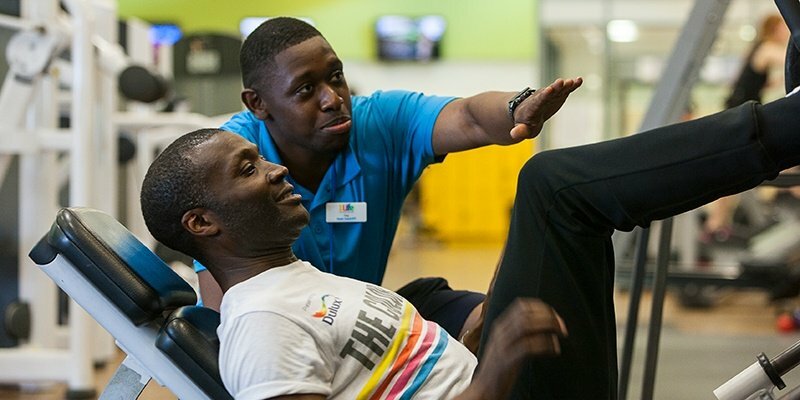 If you’d like further support, such as a bespoke training programme tailored to your specific event, then do talk to us the next time you’re at one of our gyms. Find your 1Life centre here.